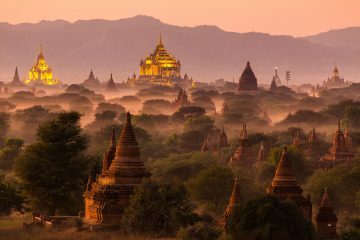 Every year, more and more people decide to venture to Myanmar to continuously explore this beautiful yet rugged country. 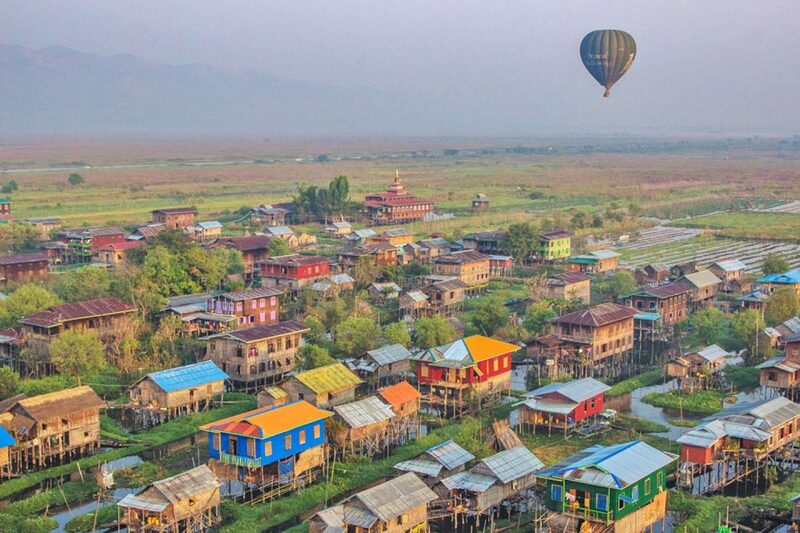 While the cities of Bagan and Yangon are the main tourist hotspots, another destination worth visiting is Inle Lake. 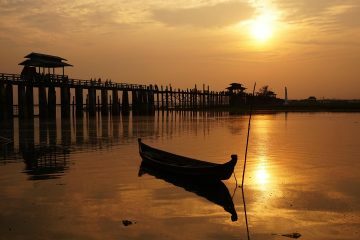 Slowly gaining in popularity and hype, Inle Lake is made up of a vast serene lake filled with stilt houses, swampy marshes, and faint hills and temples glimmering from afar. From Bagan, the main town in Inle Lake is a small yet unassuming village called Nyaungshwe. Using this small town as your base, you are free to explore the best of what these lake side villages can offer. 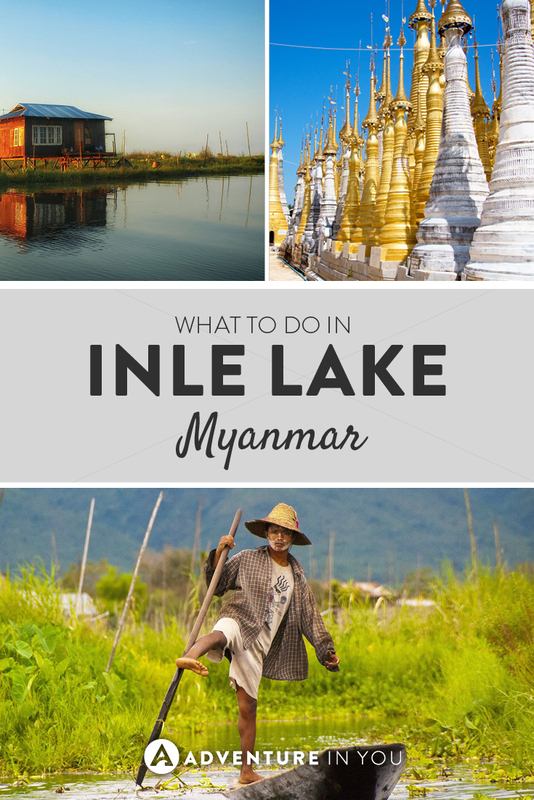 Here are a few of our top picks for things to do in Inle Lake. 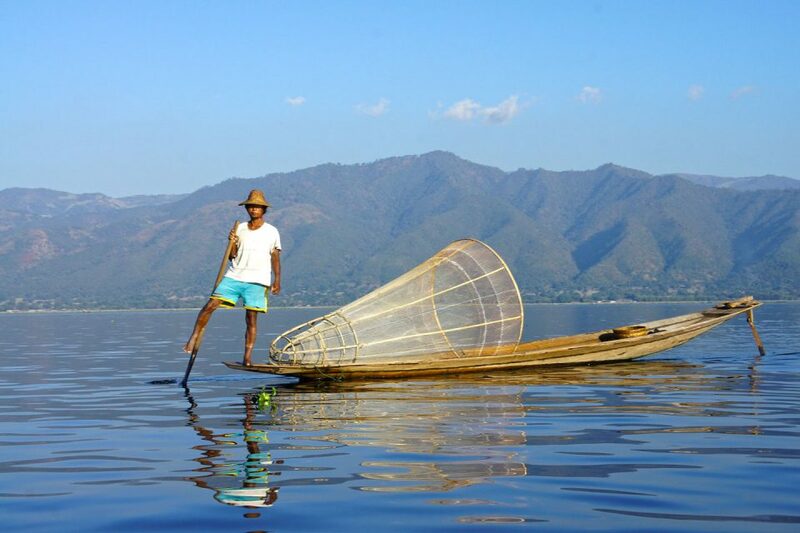 One of the best things to do in Inle Lake is to marvel at the ingenuity of the fishermen as they utilize traditional (and very peculiar) fishing methods. Essentially, they wrap one leg around an oar and use it to maneuver their boats around while using a conical bamboo basket or net to catch fish. They usually stand up the entire time allowing them to easily spot the fish by tracking their bubbles. In order to pull this off, the fishermen have incredible balance, mastering the art of not falling off (something I undoubtedly will be horribly bad at!) When we asked a local fisherman about his methods, he happily just said this is just something that they have been doing for years. Something his father taught him and something he would eventually teach his son. While modernization and tourism are slowly creeping in this developing country, it was refreshing to see traditions still being honored and respected through this timeless tradition. Although it seems hard to muster up the energy to cycle around given the intense heat, one of the activities we enjoyed the most is biking around the lake and the small rural villages around the area. Located Eastbound out of Nyaungshwe, you will also find the Htat Eian Temple Cave which is a series of dark passages within the cave, some of which contain a few buddhas and temple offerings. Other areas worth visiting are the Maing Thauk village, a random art gallery, and the Red Mountain Estate Winery. 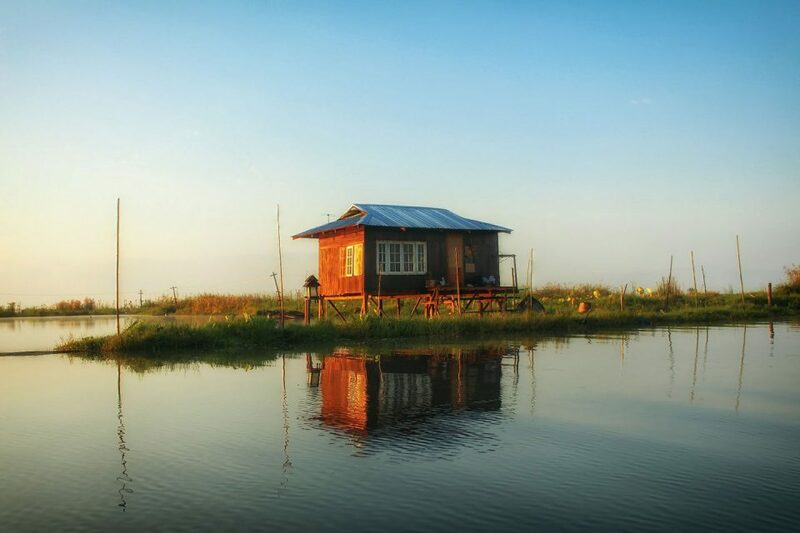 To get a glimpse of the local life, set on out on a boat tour which stops in small stilt houses along the way. 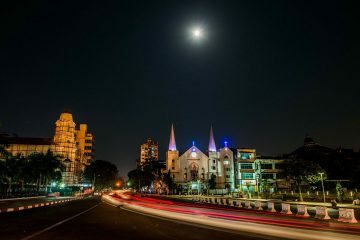 The tours mainly take you around local handicraft shops and through tourist attractions like the Phaungdawoo Pagoda and the Jumping Cat Monastery. My favorite part about this tour is gliding along the lake, observing the locals go about their everyday lives. The children we saw happily waved at us, as we weaved our way around their little villages floating by the side of the lake. Before your boat tour, you need to decide if you want to explore the boat using a motorized canoe or by a traditional non-motorized boat. Every hotel and guesthouse in Nyaungshwe can help you arrange a tour around the lake. On a side note, nowadays, the cats in the Jumpin Cat Monastery prefer to happily lounge around the Buddha carvings instead of leaping. 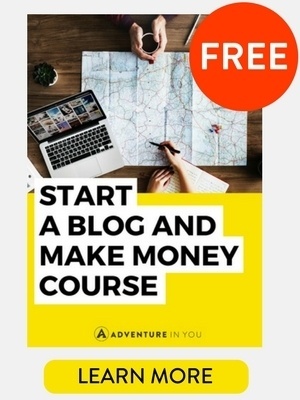 So don’t get too excited about the name! Instead of leaping cats, you will find interesting enough Buddha carvings created in traditional Shan, Tibetan, Bagan, and Inwa (Ava) styles. Often, one of the stops of the boat tour is a visit to a few traditional markets where you can see locals selling traditional produce. The village of Thaung Thut, located half an hour away holds a big market which people flock to every five days. If you venture a bit further, you will find villages who produce a lot of handicrafts, some of which they sell in the markets. The people in the Kyauk Taing village are into pottery while the people from the Kyaing Kan specialize in robe weaving. These little handicraft villages range in products and while some can argue that most of them are made specifically for tourists, this still provides employment and livelihood for the locals. To date, the tourism boom in places like Inle Lake is still being evaluated as with growth comes environmental repercussions. A rather controversial stop in the village tours is seeing the people from the Karen long neck tribe whose gold elongated necks made them a popular tourist attraction. 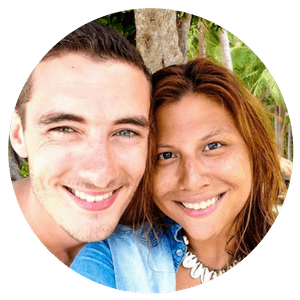 While visiting these types of attractions is solely up to you, if you do go, just make sure to take the time to speak to the women from the Karen Tribe. Rather than treating them like attractions, get the time to get to know them and their stories. Instead of floating on top of the ancient pagodas in Bagan, you can also fly on top of the beautiful and serene Inle Lake. 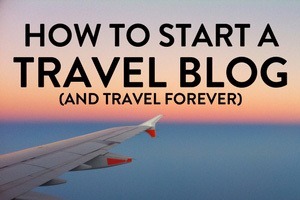 One of our writers recently did this and had an absolute blast. While floating and gliding up in the air is fun regardless wherever you are, seeing the roofs of the stilt houses and the lush greenery around you is something else. 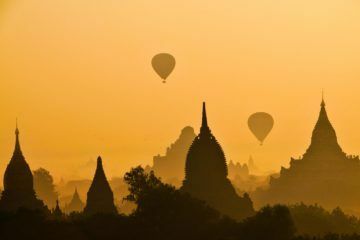 If you’re in Inle Lake and haven’t had enough of your hot air balloon fill yet, consider doing it over the ethereal like Inle Lake as the sun rises over the sky. Another very popular thing to do while in Inle Lake is to trek to Kalaw (or vice versa) The first time my partner Tom was in Myanmar, he took on this local trek which took about three days. While the days were hot and humid, the scenery along the way made up for it, giving you a glimpse of the simple yet happy way of life that the Burmese people were living. If you have a couple of days, this trek is something we highly recommend. If you want a less rigorous trek, you can also head to Kalaw for a day trip and take on a few treks and trails from there. 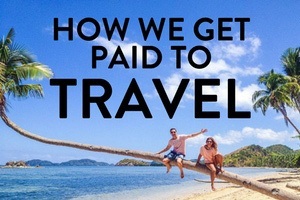 Companies like Flymya offer reasonable one day /multi-day trekking tours worth checking out. Located in the Western side of the lake, you will find a small river leading up to the village of Indein. 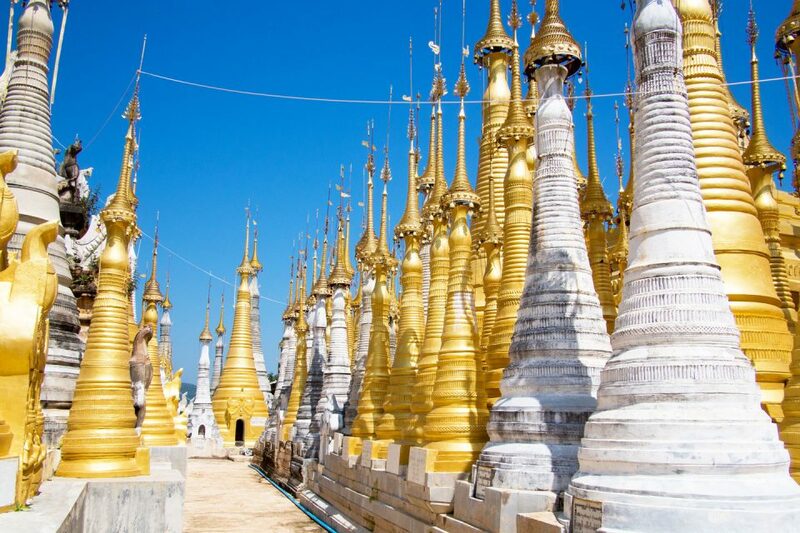 Here, you can find an endless row of pagodas and stupas all lined up in one area. In this densely populated area, you will find these monuments both old and new lined up for visitors to see. Some boat tours stop over here so if this is something that you would like to see, make sure you check your boat tours itinerary ahead of time. Alternatively, you can also just arrange a day trip here so you can wander around these ancient stupas. While there doesn’t seem to be an awful lot to do in Inle Lake, I think part of its charm is the slow paced life that everyone, including ourselves, enjoyed. Between the stunning views of the lake, the incredible sunsets, and the warm friendly people, Inle Lake is definitely a part of Myanmar we recommend you visit.